One of the most satisfying moments when working in design is when you see, hold and, even, smell a printed item after working hard on it for weeks. We were reminded of this again when we took delivery of a brochure for a luxury hotel earlier this month. 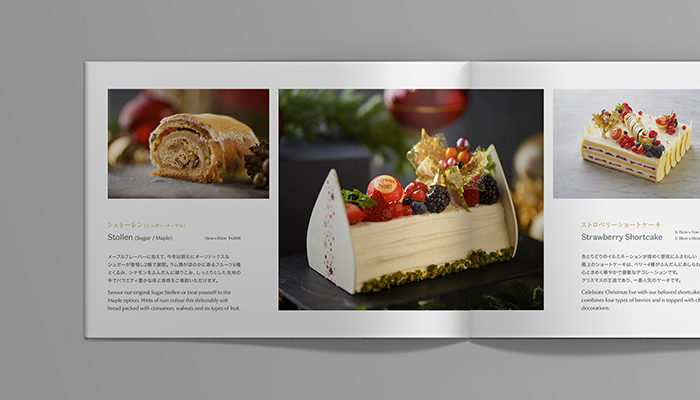 Shangri-La Hotel Tokyo, one of the most luxurious 5-star hotels in the city, recently asked us to produce their yearly Christmas and New Year’s brochure. The brief we were given could be summarized as: make it a lot better than last year’s, using roughly the same volume of information. Photography is rarely a problem with 5-star hotels. 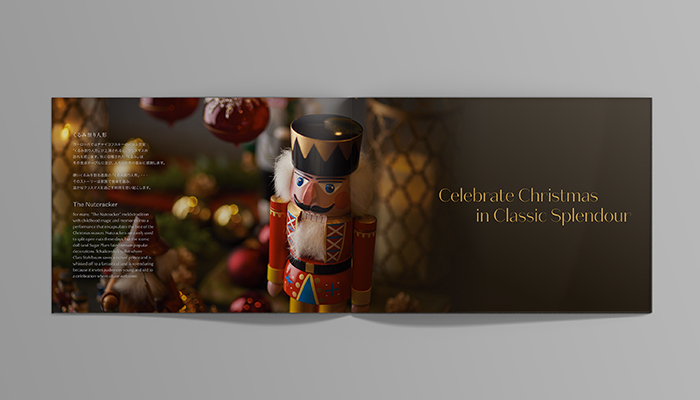 They often have preferred photographers who they always commission to take shots for collateral. The benefit of this is that photographic tone and composition is consistent throughout all materials. Paradigm was provided with the images for this project, and sure enough, they didn’t disappoint. The challenge here was in presenting the large volume of information in an easy-to-read format, and at the same time provide room for the photos to shine and be the star of the show. In order to do this, a change in size from square to A5 was adopted, and content was delivered in a way that allowed it to work — as opposed to fight — with the photographs. This year, we developed a grid system that afforded the flexibility to create spreads where information lives comfortably with photography. 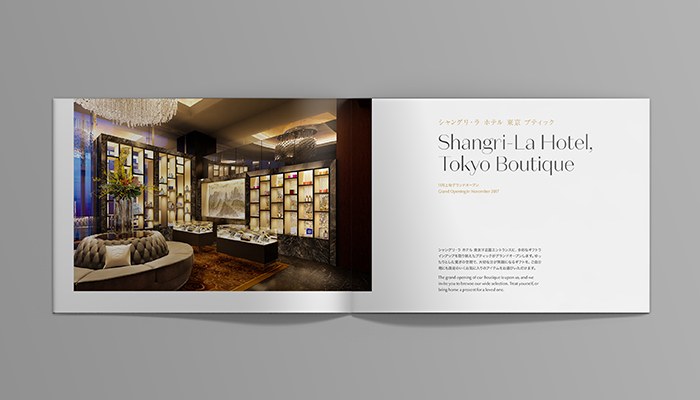 The result is a striking, well-balanced and elegant item that presents Shangri-La’s festive offerings in such a way that the hotel’s clientele would enjoy picking up and reading. Working with luxury hotels is always profoundly rewarding. Expectations are understandably high, and projects are not complete until those expectations are met. 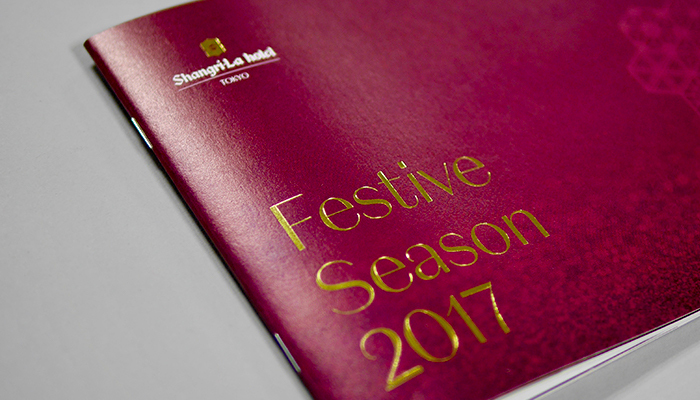 We are all extremely happy with how this year’s Christmas brochure turned out, and look forward to continuing to strengthen our relationship with Shangri-La Hotel.